Hearing your name called during the NHL Draft is something almost every kid who grows up playing hockey has thought about countless times. Being drafted by your hometown team, in your actual hometown, is something so unbelievable, its hard to imagine even in a dream. 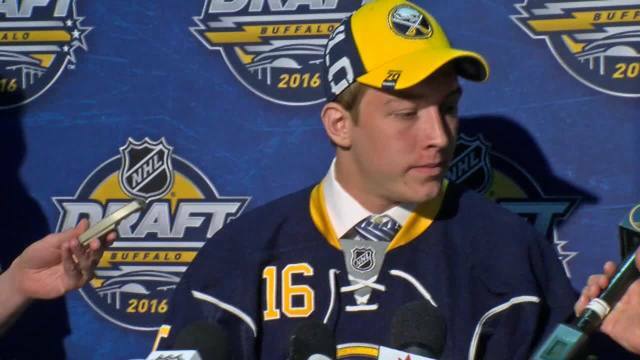 This Saturday however, that is exactly what happened to East Aurora, NY native Austin Osmanski when the Buffalo Sabres selected him in the 7th Round, #189 overall. 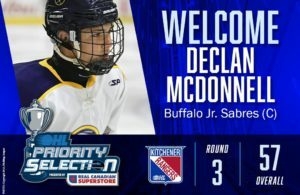 A 6th Round selection of the Mississauga Steelheads in the 2014 OHL Priority Selection, Osmanski’s game really took off after moving to the Buffalo Jr. Sabres program for the 2014 – 2015 season. Playing with some of the area’s best players, and having access to the facilities at the HarborCenter, really helped Austin develop his game. 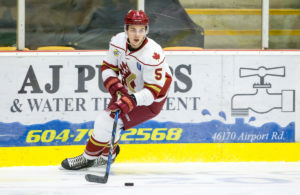 Osmanski still has two seasons of OHL play to develop his game and earn a pro contract, but he already posses a prototypical NHL frame at 6’4″ and 205 lbs even at 18 years of age and it’s not hard to envision a point in the not to distant future where his dream becomes a career.